Updated Sunday December 17, 2017 by WYL. 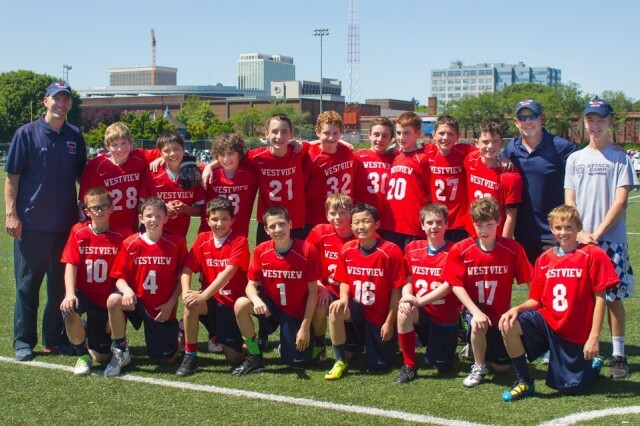 Westview Youth Lacrosse (WYL) was formed in 2008 by a group of parents who are passionate about the sport and dedicated to elevating the experience of lacrosse for the kids. Our primary goals are to improve the participation levels within our region, improve the level of coaching, and provide a safe and fun lacrosse experience. WYL is a member club of the Tualatin Valley Youth Lacrosse League, the umbrella organization providing fields and services to the five area youth lacrosse clubs: Aloha, Beaverton, Southridge, Sunset, and of course Westview (go Cats!). Teams will generally practice 2 nights per week and play Saturday games with teams from other metro-area clubs such as Hillsboro, Glencoe, Liberty, Lincoln, Tigard, Tualatin...and more! Teams are broken out into standard age groups which are grades; 3/4, 5/6, and 7/8. There are both boys and girls teams for each age group. In addition, we have Wildcubs, a Saturday-only co-ed program for 1st and 2nd graders. A key component of the WYL program is the engagement of the high school coaches and players to raise the level of coaching expertise and better enhance the skills of the player. We will have high school coaches and players periodically help out at practices. In addition, games are refereed by members of high school lacrosse teams. We strongly encourage youth players to attend and learn from the high school games. You can click HERE to link to the High School site and check the game schedule. This will provide the youth coaches with invaluable technical expertise, and teach our up-and-coming youth players the ‘Wildcat Way' of playing lacrosse. We are looking forward to an exciting season!